See the Difference, Feel the Change. Proudly Serving nursing centers, hospitals and health systems with customized medical transportation programs. ALS, BLS Ambulance & Wheelchair Van Services. See what services we have to offer! ALS, BLS & Wheelchair services for designed for you. Are you ready to work with the best of the best? Download our employment application. We are experts at transportation management and have proven technology and solutions to provide you the service you have always wanted. Our management team has decades of experience in medical transportation product development. Our mission is to provide the best possible experience for our clients ensuring that attention is paid to every detail. 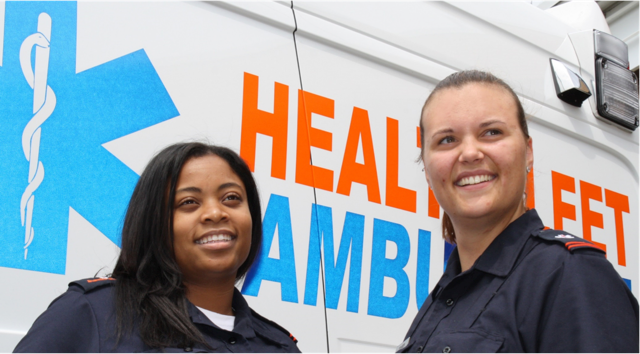 We employ the very best Paramedics, Emergency Medical Technicians and Wheelchair Van Drivers available anywhere and our clients regularly recommend our company to others. Call us for a no obligation assessment of your transportation needs and allow us to assist you in developing a high performance transportation program. We have many returning customers that know and trust us as a professional and solid partner. Join our clients and learn why we have been in business for so long. 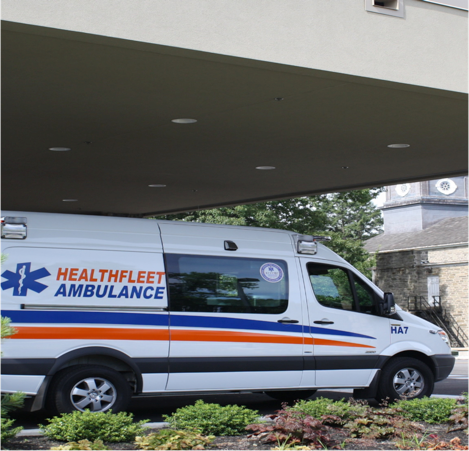 At Healthfleet Ambulance we realize that a medical transportation company is an extension of your facility. Your reputation is affected by our performance. We constantly strive to earn the confidence of our clients through friendly, caring professionals. Our Computer Aided Dispatch and GPS technology ensures that our on time performance is consistent and measurable. Our Customers Service Representatives constantly monitor service performance and assist facility staff with any challenge that may arise.